Have you seen ‘Instant Family’? Foster care has been brought into the spotlight with the release of a new blockbuster movie from Paramount Pictures, ‘Instant Family’. The heart-warming drama-comedy gives viewers an insight into the challenges of foster care and adoption. The film stars Mark Wahlburg and Rose Byrne as a couple who choose adoption to start their family and quickly find themselves adjusting to life with three children. The movie follows the heartbreaking lows and hilarious highs of their journey into foster care. We asked one of our former foster children who was ‘adopted’ into permanent care what she thought of the movie. “I identified with so much of the film, especially elements of the children’s characters. Juan is afraid of doing anything that might make the family unlove him while Lizzie is guarded to the point of being aggressive. The ‘I’m not good enough’ story really does replay on a loop when you’re in foster care even when you’re in an ‘instant family’. I think the movie showed that foster care and adoption isn’t about being perfect parents to broken children, it’s just about being there to help repair some of that damage”. U.S Writer and Director Sean Anders wrote the story based on his own experience adopting three siblings. He says he wanted to shed light on foster care and adoption, as these stories are not often told in mainstream entertainment. While the movie is based on the American system, and has been put through the Hollywood lens, the themes ring true for foster care in Australia, Jeanine Aughey – Foster Care worker explained. The movie portrays the American foster care system and adoption, which differs from the context in Victoria. In Victoria, the most vulnerable children from our communities rely on kinship (family) and foster carers to provide safety and security. The goal of foster care is to ensure the needs of the child are at the centre and to support the family of origin to stay connected. When reunification is not possible, long-term foster care or permanent care is in the best interest of the child as permanency improves security and stability. However, foster care is also provided on emergency basis, for a few weeks or months or as ‘respite’ to support other ongoing placements. There is an increased need for foster carers in our region as UMFC is receiving more referrals for children to be placed in home-based care. You can read more about becoming a UMFC foster carer here, or make an inquiry about what is involved. Send us an email [email protected] or call us on 02 6055 8000 for more information. At the Board meeting on the 22/3/18 the Koolin Balit Aboriginal Wellbeing Cultural Competence Action Plan 2018-2020 was adopted. We are committed to improving safe cultural practice for Aboriginal clients, and enhancing service access for Aboriginal and Torres Strait Islander Peoples. We articulate this commitment by including it in our Strategic Planning Pillars. We are most grateful for the suport and guidance of former Board member Judith Ahmat in developing our plan. Judith Ahmat is a proud Gunditjmara woman and has been an active member of the Wodonga Aboriginal Community and across the Goulburn and Ovens Murray areas. 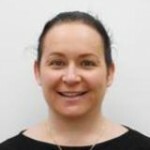 Judith is currently the Director of Watnanda Consulting which specialises in Social research, Reconciliation Action Plans, and Aboriginal Cultural Competence. It’s worth noting that at the Child Safe Standards forum, Aboriginal children were among the most vulnerable groups (along with children from a CALD background and those with a disability). To see the Koolin Balit Aboriginal Wellbeing Cultural Competence Action Plan, click here. To see our updated Strategic Planning Pillars, click here. A great night was had by around 200 people at the SSA club on Friday the 16th March. An evening of fine food and fun entertainment, capped by a successful auction to raise funds for UMFC kept everyone thoroughly engaged. A big thank you to our major sponsors the SSA, Dutch Media, 2AY and all the businesses that supported the evening by attending and donating auction items. I know all our staff and Board members in attendance were humbled by the goodwill and contributions toward our cause. Many thanks to great people like Scott Andrews, auctioneer extraordinary and outstanding MC, Kylie King, who worked hard all night to make the occasion the success it was. To see some photos of the evening click here. Keith Marshall called into the office to drop off his annual donation to UMFC. 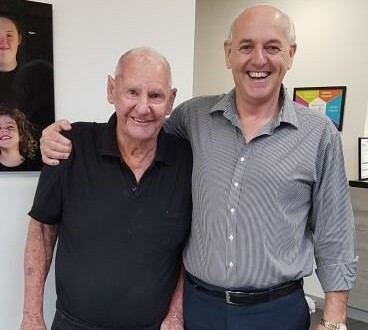 Keith is a living legend at the Wodonga pool, where he swims each day, as he has for the past 40 years or so, completing his laps in a steady pace at the ripe old age of 93. I got to know Keith when the pool was across the road from our Stanley St office. As a beginning swimmer Keith encouraged me to stick with it. Over the years we often discussed social issues concerning families. One day he came in with a significant donation and has continued ever since. Although he is a man of modest means ( pensioner ) and lifestyle, he still makes a generous gift because of his concern for others. I know Keith’s life has had its own challenges but that doesn’t stop him worrying about other people. Great communities consist of many people like Keith, humble, unassuming and quietly contributing in their own way. I find it energizing and uplifting to know local people like Keith support our work. It was a great pleasure to meet Sandy and Doug Vukasinovic again when they called into our office on the 16/2/18. Doug is passionate about making a contribution to vulnerable children based on his own family history, which was scarred by family violence. He is fully aware that his life could have turned out quite differently given the wrong circumstances, if not for the kindness of a couple of important people. 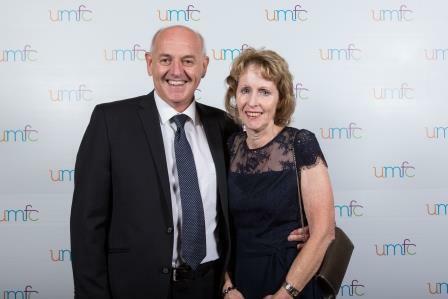 Now that he and Sandy are at that time in their lives where they can consider helping others, we are very fortunate that they thought UMFC could help with their wishes. After a few conversations it has been decided to open an account in the family name with the purpose of supporting children going in the right direction. Sandy and Doug came with a very generous donation to start the fund off and the intent is to build over time, to make a difference in local children’s lives. I think it is inspirational to have people like Sandy and Doug committed to improving their local community and that UMFC is trusted with such an important mission. The agency is holding its second gala ball on March the 16th at the SSA club in Albury. I must say that I have been overwhelmed by the positive response from the business community in supporting this event, not only in attending, but also with auction items. Last time the funds raised went towards our Wodonga capital works, this year they will be directed across the organisation to the benefit of all services. The ticket price of $130 or $1300 for a table covers catering and entertainment and I can honestly say the quality and quantity of both leaves nothing to be desired (going on the experience of our first ball at the same venue). The SSA club do us proud with their service. We are looking to have more people this year, so if you know anyone or any business that would like to support a worthy cause whilst having a great time, please contact Karen Randall who’ll organise an invitation either via e-mail [email protected] or by phoning 0260558000. It was great to see such a large attendance at our staff Xmas lunch at Cofield’s winery on the 14/12. The day provided me with some reflection on how UMFC has progressed over the years. I was approached by Max Cofield the owner of Cofield Winery and it was a pleasure to see him after many years. Max and his wife Karen were foster parents with the agency when I joined in 1984. We reminisced on some old times ( I recalled transporting a young person from Corryong to their home, Max remembered a rough red we shared ). They stopped fostering a short time later when Karen was diagnosed with breast cancer and I was saddened to learn of her passing last year. Max looked the same and he kindly said the same to me, clearly failing eyesight is something we have in common. Inside at the lunch I was delighted to hand out 10 year certificates of service to a number of staff and introduce two new Board members, Deb Bender and Thomas Crumpton. This also allowed me to acknowledge our longest serving Board member who retired a year ago with Life membership, Lester Sawyer. I made the point to Thomas he was replacing someone with 33 years service! Over lunch Lester shared some experiences with Deb and Thomas and told the story of how the night of the AGM when he was awarded Life membership he happened to mention it in conversation which was overheard by the restaurant staff. The staff person asked Lester which organisation he was talking about and when told said, he knew about UMFC as he had been fostered with one of our foster families. He spoke very positively about the experience. The point I’m laboriously making is UMFC after 37 years of existence has a history with generations of great stories. Our proud record has been achieved by many good people over a long time and continues with outstanding people today. This year has been another full on busy time with multiple challenges and opportunities which we have faced with energy and conviction. I have no doubt that 2018 will be the same. So, to all staff and volunteers thanks for all the hard work and commitment, I hope you receive the acknowledgment you deserve and the satisfaction of helping others. 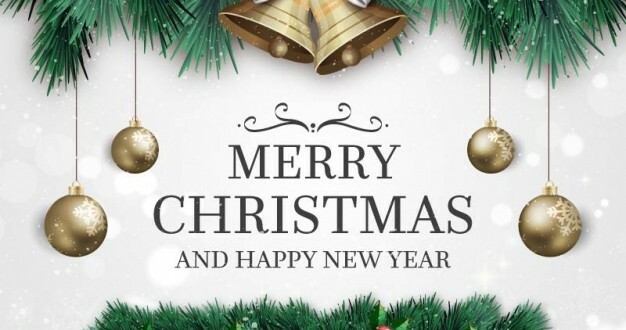 Have a safe and Merry Christmas and New Year. 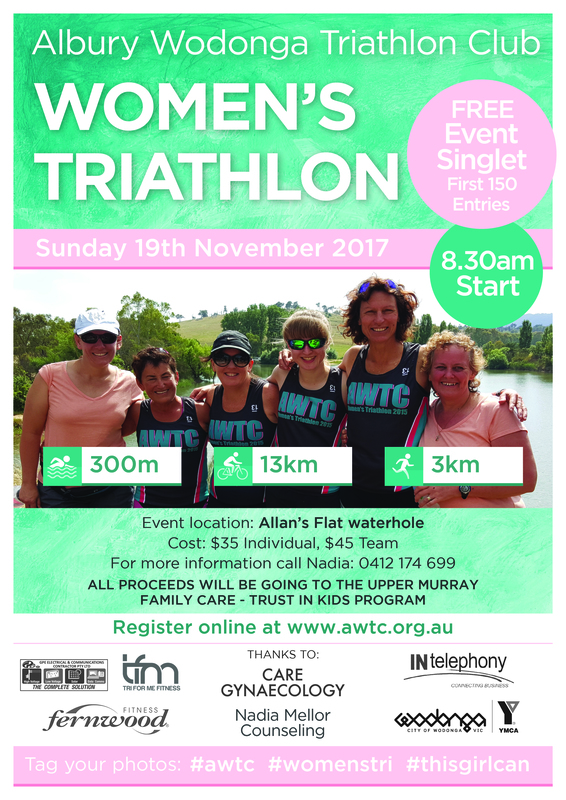 I am very delighted to announce that the Albury Wodonga Triathlon Club’s Women’s Only Triathlon has selected our Trust In Kids fund as its beneficiary this year. This support will provide us with many more opportunities to make a positive impact on the lives of children from disadvantaged backgrounds right here in our local community. Take on our ‘cool’ and ‘courageous’ teams from UMFC’s Child & Family Services on Sunday 19th November in Yackandandah. The event consists of a 300m swim, 13 km ride, and 3 km run. This event is open to women aged 13 and upwards of all abilities. You can REGISTER NOW as either an individual or a team (2 or 3 people). The first 150 entries will receive a free event singlet. We’ll be there – will you? The Albury Wodonga Triathlon Club, Women’s Tri is all about inclusion, we cater for all abilities over the age of 13. Women often put themselves last, we encourage exercise for a healthy mind, body and soul. A healthy happy lady will be more confident in herself and her ability, and this morphs over to life in general. The absolute best thing about the women’s tri, is having fun with your girlfriends and other ladies in a very inclusive environment, whilst achieving a goal and supporting a charity like Trust In Kids and knowing that your entry fee is helping those in need. Believing in yourself and your ability to achieve and overcoming fears, anxiety, self talk, and you never know who you are inspiring in the process of your own journey! Trust In Kids provides a timely boost to the most vulnerable kids and young people in our local community when there is nowhere left to turn. Almost 1 in 5 Australian kids are living in poverty. There is a real need in our community to give local kids a ‘fair go’ and receive everyday opportunities they’d otherwise miss out on. Some kids need help with basic necessities, such as bedding and furniture, other times it’s assistance with school costs, music, dance, or swimming lessons. Your support can make a massive difference to a vulnerable child’s development, and help make them feel valued by our community. Every cent you donate is spent on local kids and is tax deductible. For a long time I subscribed the agency to the Harvard Business Review magazine. I happened to be reading some back issues and found one about high emotion services. The article had some interesting suggestions about questions such services should ask their customers. While the examples of such services ( birth, marriage, illness, death ) didn’t explicitly mention agencies like ours, the principle still applies, ie high emotion services may elicit intense feelings before any service may even begin. The reason for such feelings can be because there is a lack of familiarity with the service, a lack of control over the service’s performance, major consequences if things go wrong, complexity that gives the provider the upper hand and a long duration across a series of events. So, some of the questions suggested to minimise customers anxiety include, what is our customers pre service impression of us? If our customers could make one improvement in our service what would it be? What could we do to make first impressions of our service exceptional? Can we demystify our service to relieve customers anxiety? What is the profile of our ideal employee? What skills and knowledge are critical to upholding our core purpose? I believe we do have these reflections in the agency eg like designing the foyer in the new office, but it is useful to remind ourselves of the starting point a lot of our customers find themselves in and being empathic in responding accordingly. I was reminded of my casework experience ( pre industrial revolution ) when working with schools and families. A lot of the parents had very negative childhood school experiences, so expecting them to attend and participate at parent teacher meetings for example was for some a bridge too far. I’m sure this idea is not new to almost everyone but just as we can become blasé about our work space, so can we become forgetful of what it’s like for someone new. Our Trust in Kids fund received a very generous donation from Rowly Paterson, owner of 2AY ACE Radio radio last month, which prompted me to review the TIK performance to date. We have allocated $ 55,700 to 107 children so far at an average of $520. Averages don’t always tell the full story as I recall one of our recent applications, from one of our financial counsellors, for funding to cover a child’s winter school uniform. Not a great deal of money but a massive deal for the young person and their family. We have approved around 90% of applications received, with the remainder referred to other more appropriate sources of support or withdrawn due to changed circumstances. In addition to individual applications TIK gave $1400 worth of gift vouchers/ movie tickets to young people at Christmas who would otherwise have gone without a present. I was delighted to hear from Graham Walker, treasurer at the Lavington Lions that they would be donating funds to TIK following an address given to the club in March. It is this community support that makes a difference in children’s lives and so encouraging to receive. 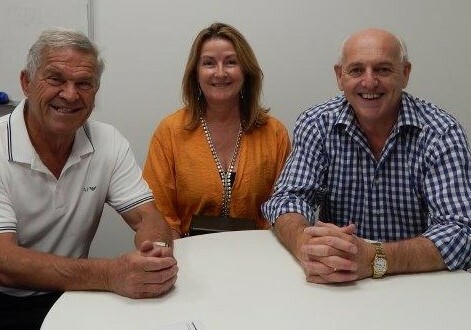 Visit trustinkids.com.au to learn more about our smart fund for disadvantaged kids in our local community. Help Support Local Families During Times of Need. Donate Now or Volunteer. All children and young people who access UMFC Services have a right to feel and be safe and to be treated with respect. We are committed to providing a welcoming and safe environment and working towards the best interests of children and young people at all times. Strengthening families to build vibrant communities.